TJ Hughes: Be on your Tippitoes!! Tippitoes have established a reputation for quality at a reasonable price and we are thrilled to let you know that Tippitoes is now available at TJ Hughes. This Tippitoes Spark pushchair is one of their best sellers, combining style, great manoeuvrability, safety, comfort and quality. It has a 5 point safety harness, front and rear wheel suspension and linked rear brakes. It also has a multi reclining backrest, calf rest, shopping basket and rain cover and hood. It is available in midnight blue or in this funky black and white print. This pram is designed to be used from birth. 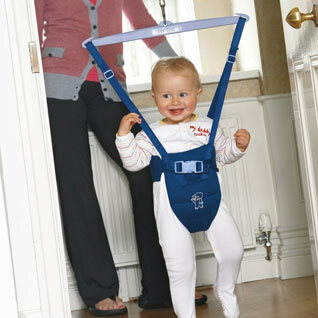 This Tippitoes doorway bouncer is the perfect fun exercise routine for your bouncing baby. It clamps easily to interior door frames and is designed to be compact for storage. The rubber extender, which is unique to Tippitoes, ensures a smooth fluid bounce, limiting jerky movements more common with bouncers that use a spring. 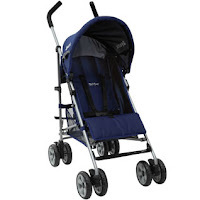 This bouncer is suitable from 3 months (once child can support head) up to 15 months.